Yesterday, on Day 853 after the abduction of our #ChibokGirls, a new “proof of life” video about our #Chibokgirls was in circulation, broadly disseminated and widely commented upon in the media. It is heartrending that these young women have been in captivity for so long in the hands of brutal, violent insurgents who are determined to use them as bargaining chips for their diabolical power-seeking agenda. It is unfortunate that our #Chibokgirls have been left at the mercy of their abductors for 854 days today. We are saddened and disheartened that our #Chibokgirls families and loved ones have had to cope for so long with their absence. Nonetheless, we are determined to be hopeful that our #Chibokgirls and all other abducted Nigerians, particularly the girls, boys, and women will all be rescued and reunited with their families by the Nigerian government and the international community. Given that guaranteeing the safety and security of citizens is a constitutional duty of the state, the rescue of our #Chibokgirls and all other abducted Nigerians must be given more priority than observed thus far. The international community must also rise to the challenge and demonstrate its commitment to the rescue and reunification of our #Chibokgirls and all other abducted Nigerians. The BringBackOurGirls movement has steadfastly and unflaggingly called for our #ChibokGirls rescue. The Nigerian government must redouble efforts to rescue our #Chibokgirls and all other abducted Nigerians. This is key to demonstrating Nigeria’s sovereignty: that it is not a place where a band of homicidal insurgents can swoop in, abduct citizens, and hold them in captivity at will. It is key to demonstrating that the Nigerian state is mindful of its constitutional responsibility to all Nigerian citizens. It is key to demonstrating that the Nigerian government cares about the plight of citizens subjected to cruel and unusual brutality, violence and torture. The international community also owes a duty. 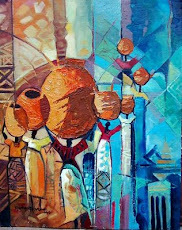 It must demonstrate that its lofty statements are not just platitudes. When some of us are insecure, all of us are insecure. The rescue of our #Chibokgirls and all other abducted Nigerians is a matter of urgent necessity and should be treated as such. Once the rescue is done, reunification with their families, psychosocial care, guarantees of safety and security for affected communities from further insurgent violence is required. How much pain do we expect parents to bear? How best can we demonstrate the commitment to rescue their children? 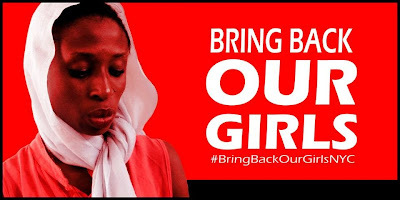 We commend BringBackOurGirls in Nigeria for its proposed march to the Nigerian Presidential Villa at Aso Rock and urge all people of good conscience to join them in the call for the rescue of our #Chibokgirls and all other abducted Nigerians and their reunification with their families. 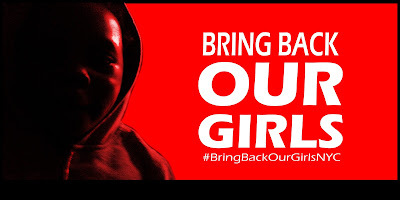 We at #BringBackOurGirlsNYC support BringBackOurGirls in Nigeria and remain hopeful that very soon, our #Chibokgirls and all other abducted Nigerians, particularly the girls, boys, and women will all be rescued and reunited with their families by the Nigerian government and the international community.